Children often imitate adults. This also holds true to eating habits. If an adult they look up to does not eat vegetables or fruit, chances are they will choose not to either. It is more important than ever to start the healthy eating at a young age. When feeding your infant or toddler, offer them all the foods. Let them be the judge of what they like. If you never give your child broccoli, then they will probably never want to try it. It often takes trying a new food several times before we decide if we like it or not. Do not be afraid to encourage your children to try new foods. When offering a new food, make sure your child is hungry, limit snacks throughout the day. Present new food only one at a time. Make it fun if you can. When serving new foods, serve them with favorite foods to increase acceptance. Puree vegetables and add them to their favorite foods to disguise them. Let your children help you shop for or prepare the food. They are more likely to try it if they had a hand in making it. It is also a good idea to limit too many beverages in between meals. Family meals are extremely important. Routines are comforting to children. If you sit down together and eat at approximately the same time every night, then the children will continue that routine throughout their life. Eating at home instead of fast food is much healthier. If you do eat out, opt for the healthier side choices. I am often asked how did you get my preschool child to eat that? 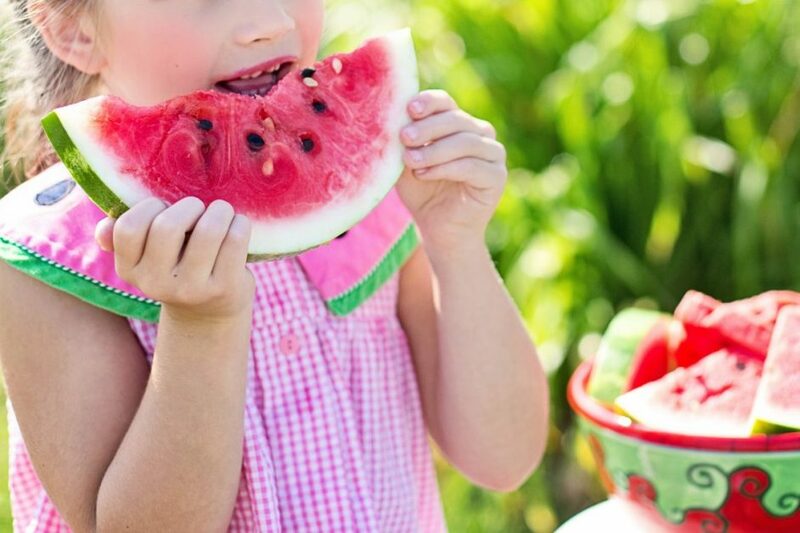 Early Childhood programs are a great place to model healthy eating. We only provide healthy foods and we encourage the children to taste new foods. The other children are trying it, so they want to try it too. Remember at this age, children like to mimic others. Keep fresh fruit and vegetables around for a healthy snack option. 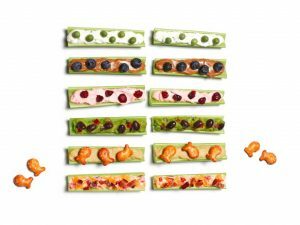 There are tons of healthy snacks you can make for your children. Please see the snack ideas below. 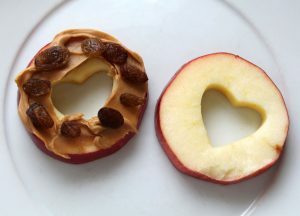 Slice an apple and spread peanut butter or soynut butter on it. Very flavorful and fun. Slice celery into 2-inch pieces. Spread peanut butter or cream cheese on it. Place raisins on top. Now you have ants on a log. If you are looking for a child care program that provides healthy meals, take the first step to get more information!